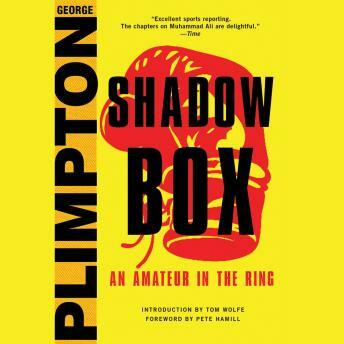 George Plimpton makes his riskiest foray into participatory journalism--stepping into the ring against a champion boxer--in SHADOW BOX, now repackaged and including never-before-seen content from the Plimpton archives. Stepping into the ring against light-heavyweight champion Archie Moore, George Plimpton pauses to wonder what ever induced him to become a participatory journalist. Bloodied but unbowed, he holds his own in the bout--and lives to tell, in this timeless book on boxing and its devotees, among them Ali, Joe Frazier, Ernest Hemingway, and Norman Mailer. SHADOW BOX is one of Plimpton's most engaging studies of professional sport, told through the eyes of an inquisitive and astute amateur. From the gym, the locker room, ringside, and even in the harsh glare of the ring itself, Plimpton documents what it is like to be a boxer, an artist of mayhem.